Regal Hotels International is planning to add 30 to 40 new properties over the next five years, including several in the UK, as it expands beyond Hong Kong and China. Richard Hodges, vice president of business development at Regal, said the company is eyeing UK cities such Glasgow, Edinburgh, Reading and Southampton, for potential development opportunities. Properties in the pipeline include two new China properties, including a Regal Residence in Shanghai offering 300 rooms, set to open later this year, and the brand's first resort property, scheduled to open in Pattaya in Thailand in January 2012, offering 288 villas. "Our aim is to be a good four-star international brand with five-star service," said Hodges. "We are looking at a number of gateway cities with direct flights to Hong Kong, such as Sydney, Las Vegas, San Francisco and Vancouver, as well destinations like Morocco, Sudan and Egypt." 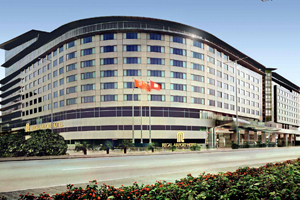 The hotel chain currently has six properties in Hong Kong including the award-winning Regal Airport Hotel, and several in China.